What is Quality ... In a Tomato? 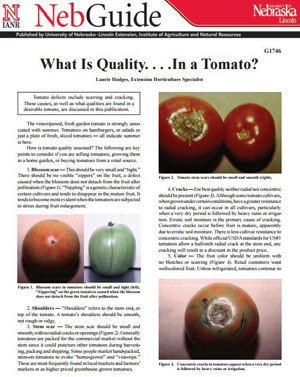 Tomato quality assessment for sale, or buying tomatoes from a retail source, is covered in this publication.